From And Still I Rise by Maya Angelou. Copyright © 1978 by Maya Angelou. Recipe originally published by Chef and Steward here. For more Jamaican Christmas recipes by Chef and Steward, check out this amazing collection of recipes. Chef and Steward is a head chef and wife family blog devoted to enriching and transforming people’s lives through food, travel, lifestyle and wellness. We are a husband and wife team on an epicurean journey. After all, life is bland without good food and good times. As much as we are intrigued by gastronomical delights, we are trying to balance both the kitchen and bathroom scales (ha)! Healthy food can be tasty and tasty food can be healthy. Food is medicine but that doesn’t mean it ought to taste like it. We run a mostly low carb, paleo, keto, gluten free Chef and Steward Test Kitchen at home. 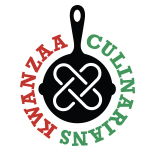 This entry was posted on December 27, 2017 by Kwanzaa Culinarians in 2017, drinks, Kujichagulia, Recipe and tagged Drink, Jamaica, Jamaican, Kujichagulia, Maya Angelou, poem, sorrel.